3 of our cases make the Top NY Verdicts & Settlements List! Bigger Lost Wage Check for You! How Do I Pay for Funeral Bills after a Car Accident? Can I reopen my no-fault file? How Much Do Personal Injury Lawyers Cost? When Is It Time to Hire an Accident Lawyer? Should You Give a Statement to the Insurance Company After an Accident? What Happens When You Speak With An Insurance Company? Can You Get More Money Than the Insurance Policy? How much can I sue for my injury? How Long Does an Accident Case Take? Should You Sue For Loss Of Consortium? Should I Agree to a High/Low at Trial or Arbitration? Should Lawyers efile Discovery Documents? Can You Trust Your Personal Injury Lawyer? 1 Will Your Lawyer Find All the Insurance Available for Your Accident? We catch the insurance companies when they tried to hide insurance! Will Your Lawyer Find All the Insurance Available for Your Accident? We catch the insurance companies when they tried to hide insurance! When you have a serious injury worth more than the insurance policy, it’s important that your attorney knows how to find insurance policies which the insurance company is not disclosing. Your lawyer will file a claim with the insurance company which will respond with the insurance information. But how do you know if there is another insurance policy providing more money? 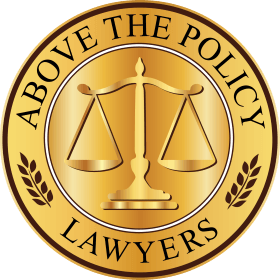 Has your lawyer found all of these insurance policies? How he or she can search for other insurance. In how many cases did the lawyer find insurance coverage which the insurance company lied about and can the lawyer prove it by showing you documents. Most attorneys do not know how to search for other insurance but we do and we provide copies of documents below proving we have found insurance companies trying to cheat our clients. Smart attorneys will have the defendant’s insurance company get an affidavit of no other insurance so you can void the release if more insurance is later found. The problem is that once your case is settled, no one will ever know if there was additional insurance. These letters show how an insurance company disclosed only one insurance policy providing $100,000 coverage for our client. Later, when we discovered a second insurance policy providing another $100,000, the insurance company sent a letter claiming that the policies would pay pro rata with $50,000 from each policy and the total coverage was still only $100,000. We did not believe this and demanded a copy of the underwriter’s file. We then received a letter admitting that the total coverage is $200,000. Finding the additional insurance policy was extremely important to our client because he suffered serious injuries worth more than both insurance policies. In this case, 21st Century Insurance repeatedly told us on the phone that the insurance coverage limit was $50,000. They sent us a letter stating that it was $50,000. We sent an affidavit of insurance coverage to the insurance company to forward to their insured and they sent it back to us with an affidavit printed by 21st Century Insurance stating that the insurance coverage is $50,000. Our client had a serious crush injury to his leg and the insurance company tried to cheat him out of $50,000! At HURT911® you can speak with Dream Team Partners Rob Plevy, Esq. and Phil Franckel, Esq. whenever you need, days/nights/weekends. Get the HURT911® Personal Injury Dream Team™ on your side! Is a Lawsuit Worthwhile If I’m on Medicaid? Should I Take an Ambulance to the Hospital? Free consultation – no obligation! Attorney Advertising. New YorkSeriousInjurAttorneys.com provides general information only and does not provide legal advice for any particular accident case. Please call us for a free consultation about your accident. You must have a signed retainer to create a lawyer/client relationship.